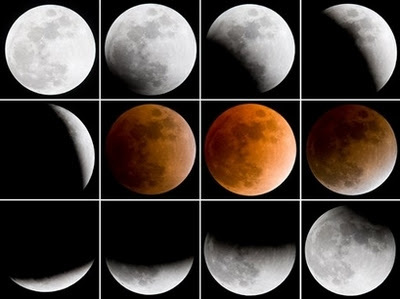 As I was browsing Yahoo News, I came across this series of pics of the lunar eclipse that happened last night. The pictures were taken every 20 minutes during the eclipse. Pretty, eh? Those are really beautiful photos! How cool! I wish I'd see them in last night? Is it?